Squab, or young pigeon, raised with no antibiotics or hormones, in open barns and humane, stress-free conditions. Our cooperative of farms specializes in the complex methods of raising squab, giving them a high-protein diet of grains. Squab offers red, tender and lean meat with a unique taste, which makes it a popular choice on game menus. We source our squab from a cooperative of farms in California’s beautiful Central Valley, where they raise the prolific King breed birds. 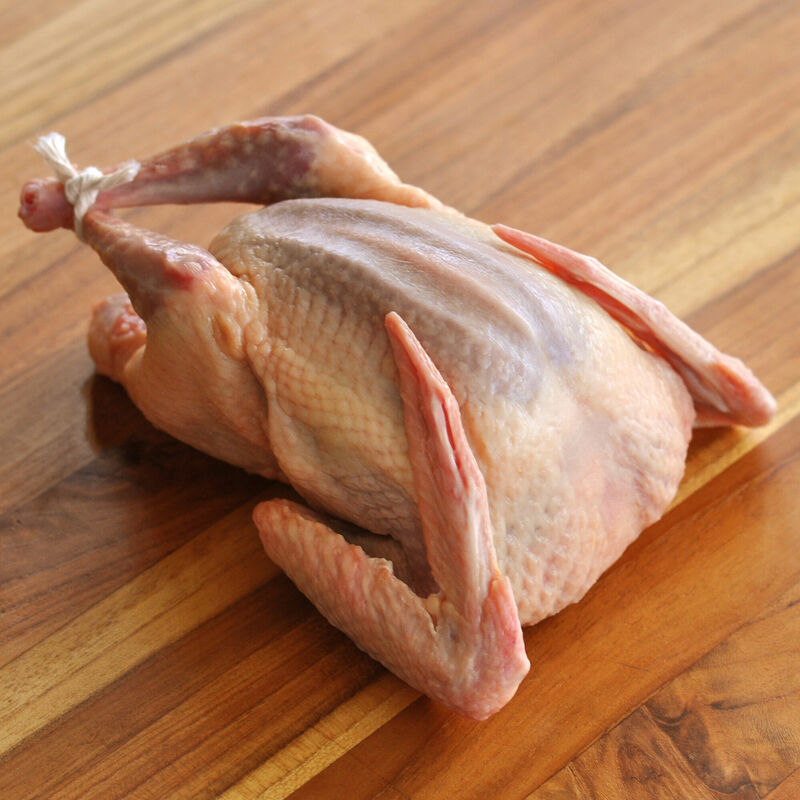 Known for its large size and full breast, this is a breed preferred for its meat. Inside protected and open barns, the birds are allowed to breed and rear their young in nest boxes. The mated pairs of adult pigeons feed young birds a mix of high-protein grains including soy, sorghum and corn. The fledgling squabs have never flown and are raised until four weeks of age when they are adult size but before their muscles toughen. As with all our products, no hormones or antibiotics are ever administered.